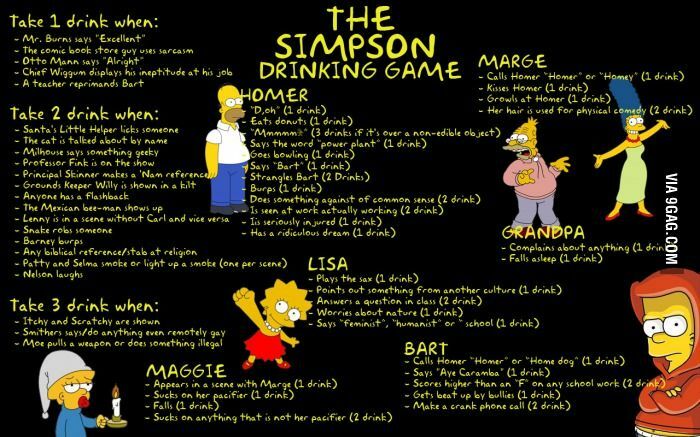 If you enjoy drinking, we’re sure you’ve played Taboo, Beer Pong, Kings and Never Have I ever at least once in your life. 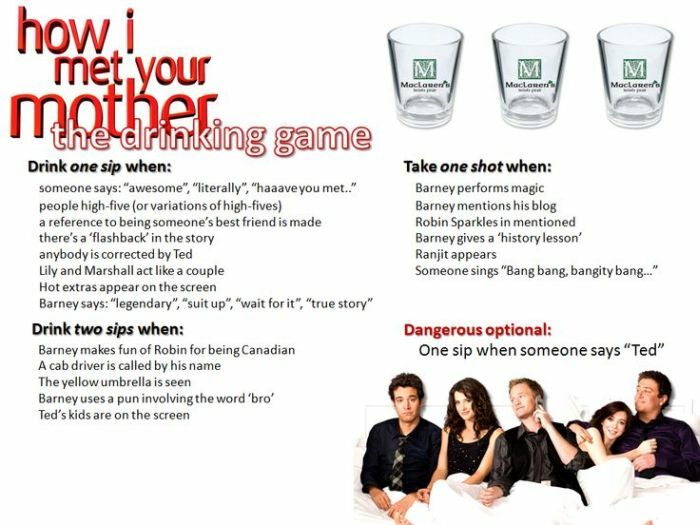 But did you know that you can play drinking games that revolve around your favourite TV shows? RULE NUMBER ONE: Don’t forget to eat before you begin. This one’s approved by our very own Tyrion Lannister. 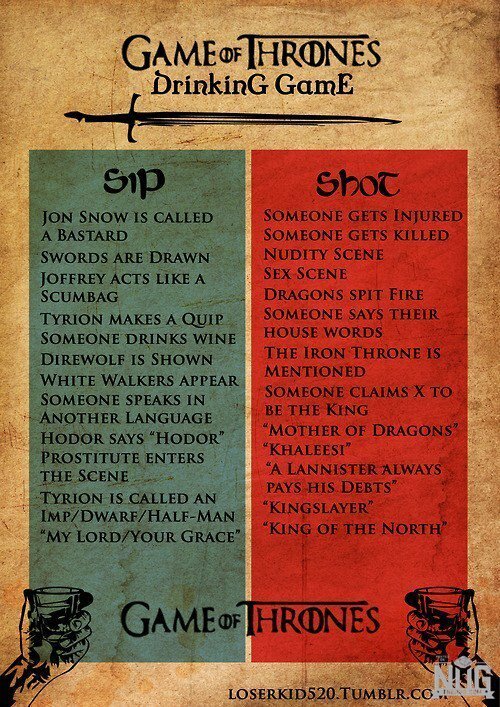 Gather your friends for a Game Of Thrones marathon night and watch it roll into something entirely different for the night. It is going to be dark and full of terrors. All we can promise is that this isn’t a democracy, this is a drink-tatorship! If the story of a forensic technician viz secret vigilante killer and lots of blood doesn’t lunch your thirst, this game surely will. And remember, a blink can change everything. 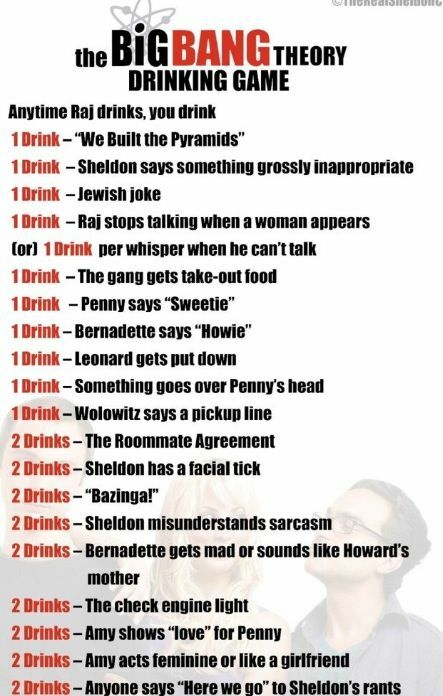 If you’re up to no good on a Saturday night, ditch that club and watch Big Bang theory whilst playing this game as it guarantees you a night of laughter and— really drunk people. Maybe then, Sheldon’s rant will begin to make sense after all. The blue French horn! The yellow umbrella! There are two types of people in the world. 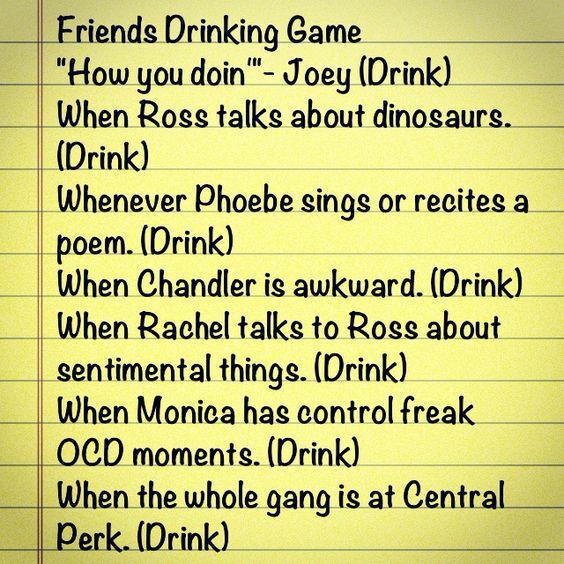 Those who love Friends and those who haven’t watched it. 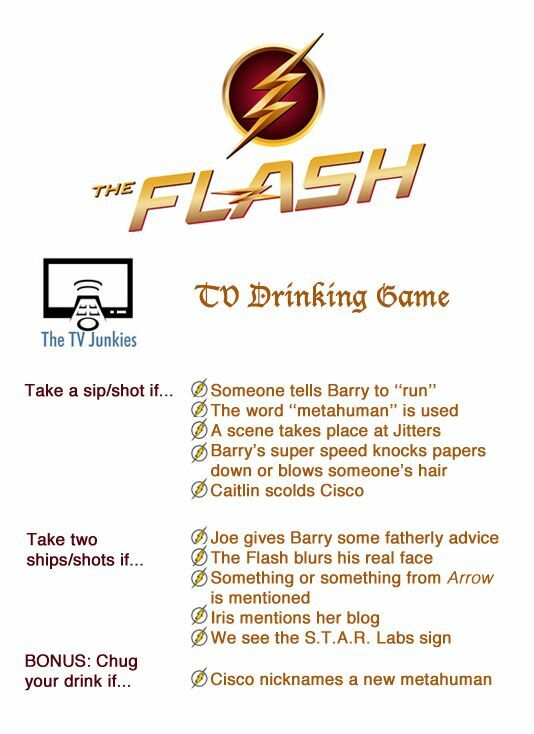 This game is perfect for a lazy Sunday when you can binge watch season after seasons (thanks to the short episodes and now, your unstoppable addiction) and get drunk. 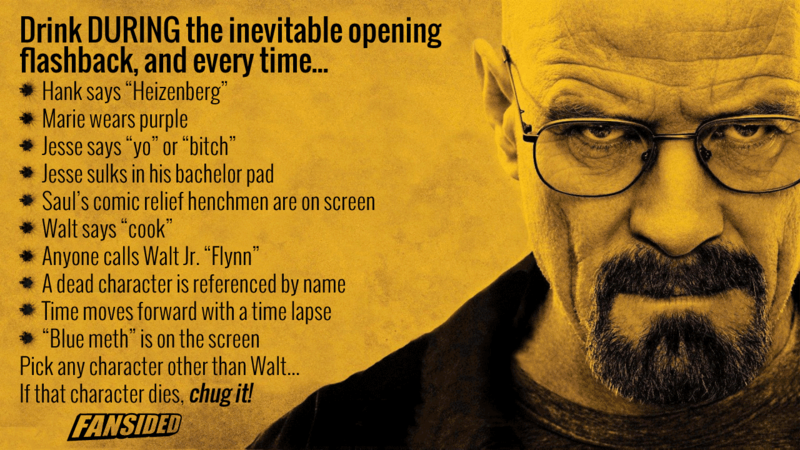 Walter White might be the one who knocks but this game is about to knock you out! 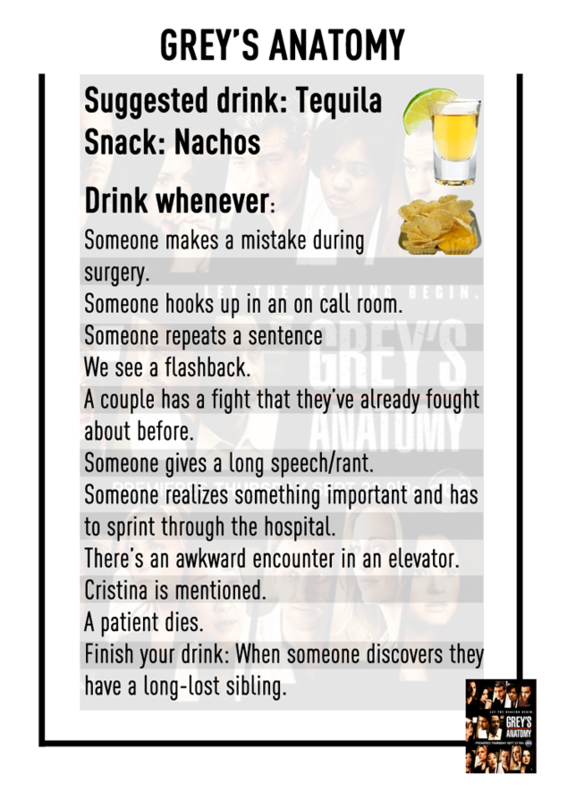 Ladies and gentlemen, Creator Shonda Rhimes as always ruins our lives by killing off everybody, so why not get some alcohol to add to the fun? 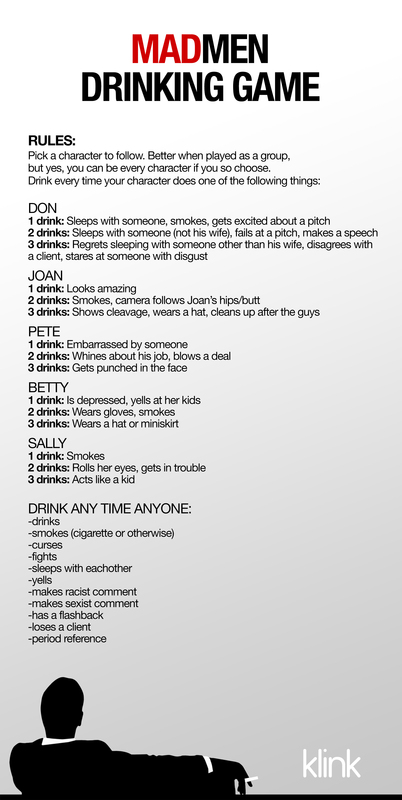 Play some depressing pop songs to comfort you when someone dies, and let your drinks do the talking. 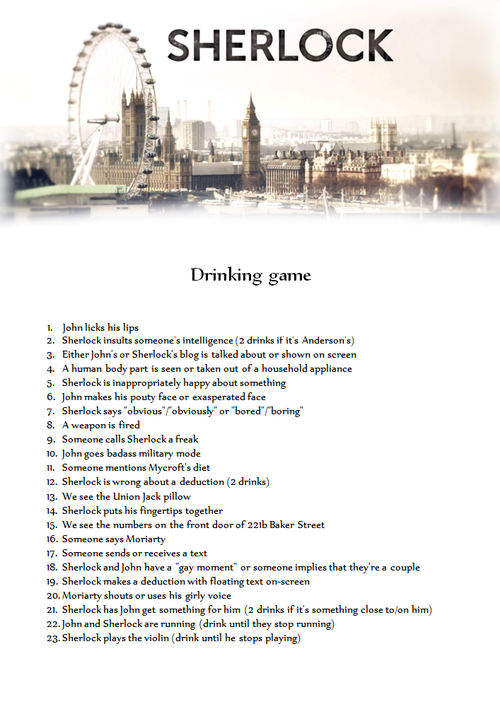 Or rather, crying. 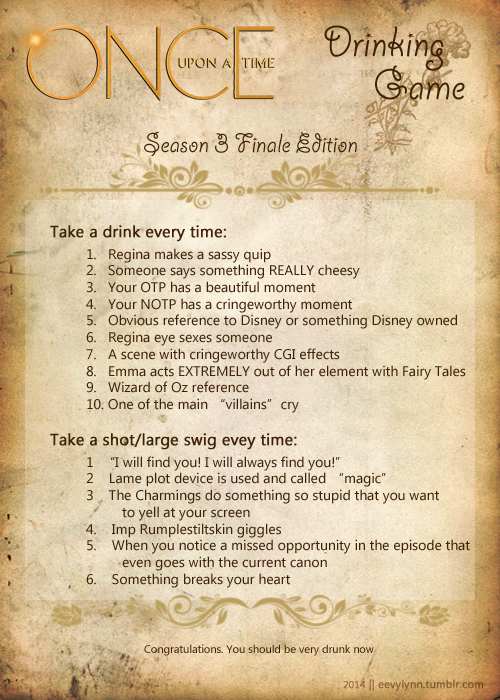 One of our favourite television shows combined with your favourite choice of alcohol, what could get better? Twisty the Clown isn’t the only thing you have to worry about with this game. Caution: Play at your own risk! 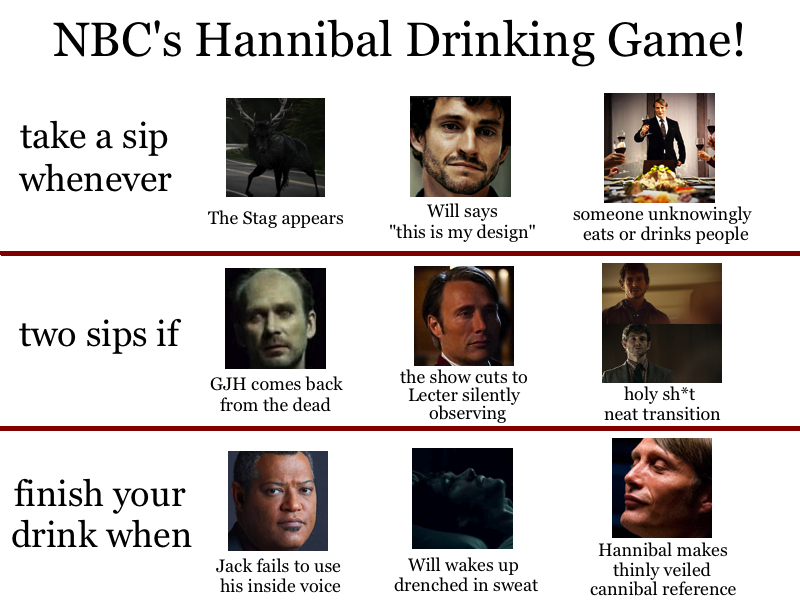 There’s a drink for almost everything that takes places in the show with this game, so make sure you’ve eaten well before you drink to death. The dark and daunting series has been popular with fans for years! It’s time to add a little twist with this one. 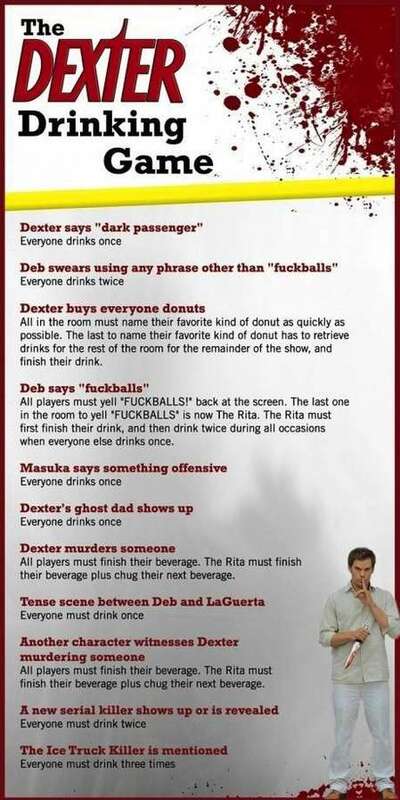 Donald Draper surely tries to maintain a balance between his professional and personal life but you won’t be able to maintain any balance at all with this game! 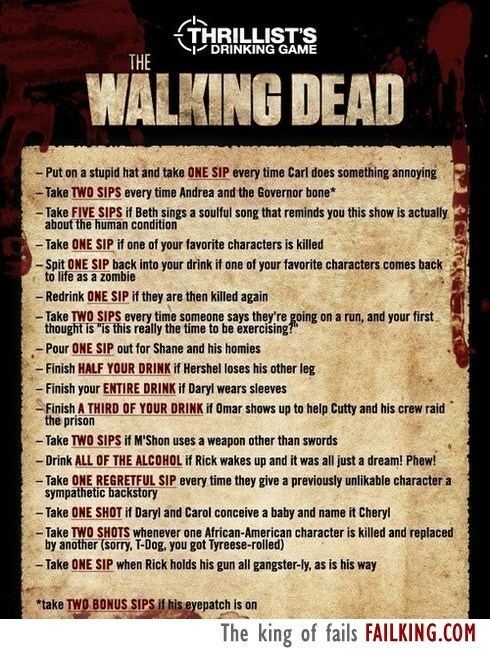 So if you want to do something absolutely crazy, pick one of these shows and drink away!